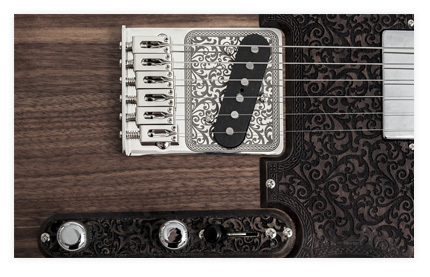 This masterbuilt is made completely out of walnut wood. It is finished with OIL, so playing experience is incredible. 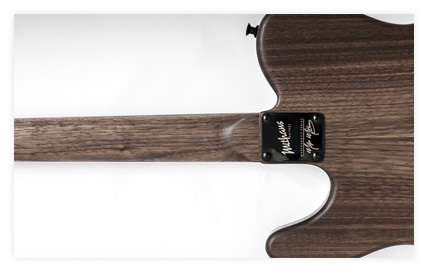 It features one piece walnut neck with ebony fingerboard. T shaped beauty with Mithans custom ultra modern bridge and aluminum locking tuners, zero fret with Graphtech nut and Graphtech string trees. 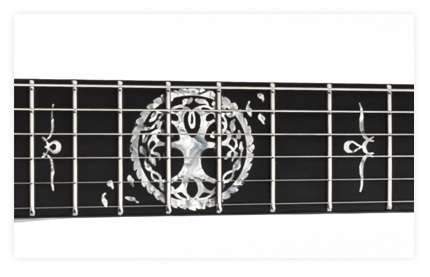 Stainless steel frets for lifetime. 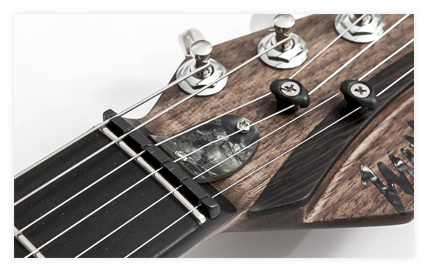 Semi hollow body with extra chambers for reduced weight. 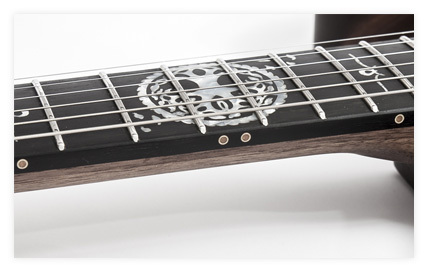 Control plate and pick-guard are made from walnut and are custom engraved just as the bridge plate. 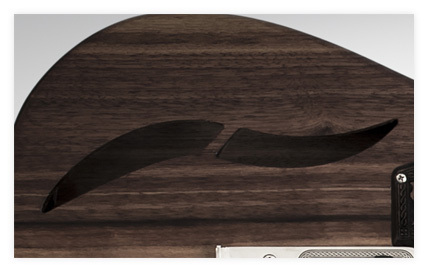 Side dots are brass with birch inlays for esthetic perfection. It's a masterbuilt!